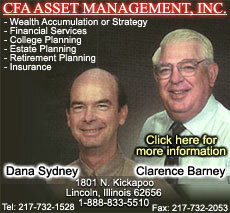 Raymond B. Caskey, 87, of Lincoln, formerly of Lawndale, died at 10:50 p.m. Monday, May 7, 2001, at Christian Village. A graveside service will be at 1 p.m. Friday, May 11, at Lawndale Cemetery, Lawndale, with Tom Gerdts officiating. Burial will be in Lawndale Cemetery, Lawndale. Caskey was a Teamster truck driver for 35 years. He was born Sept. 30, 1913, in California to William and Aliza (Birk) Caskey. He married Grace Meadows on Nov. 23, 1935, in Decatur. She died Aug. 30, 1984. He married Dorothy Williams in Lincoln on Nov. 19, 1985. She died July 2, 1992. Surviving are one son, Michael Caskey of Lincoln; one daughter, Sheila Caskey of Cape Girardeau, Mo. ; four grandchildren; and seven great-grandchildren. He was preceded in death by his parents, both wives, one sister, one stepson and one great-grandson. He was the last of his immediate family. He was a member of Lincoln Christian Church. Memorials may be made to the Christian Village Alzheimer’s Unit. Click here to send a note of condolence to the Caskey family. Catherine Conring, 88, of Chenoa, formerly of Lincoln, died at 12:40 a.m. Monday, May 7, 2001, at Meadows Mennonite Retirement Home in Chenoa. Funeral services will be at 1:30 p.m. Thursday, May 10, at Fricke-Calvert-Schrader Funeral Home in Lincoln, with Tom Gerdts officiating. Mrs. Conring retired from Lincoln Developmental Center after 37 years of employment. She also worked at Stetson China Factory. During World War II, she worked at Illiopolis Munitions Plant, driving a semi loading and unloading explosives. She was born Feb. 28, 1913, in Lincoln to Cleveland and Lulu (Edmonds) Newberry. She married John Conring on July 2, 1932, in Lincoln. He died Feb. 28, 1971. Surviving Mrs. Conring are one daughter, Christina (Lonnie) Bernstein of Bloomington; six grandchildren, Terri Lynn Peek and Susan Bernstein of Bloomington, David (Julie) Bernstein of Finlay, Elizabeth (Andrew) Nish of Cleveland, Ga., Brad (Suzette) Bernstein of Kenilworth and Jill Lewis of Lincoln Park; 13 great-grandchildren; one great-great-grandchild; and two sisters-in-law, Margaret Newberry of Lincoln and Maureen Newberry of Moberly, Mo. She was preceded in death by her parents; husband; five brothers, Jim, Ed Ralph, Don and Paul; and a sister died in infancy. She was the last of her immediate family. She was a member of Lincoln Christian Church and a charter member of the Eagles Auxiliary 2708. She enjoyed many friends, traveling and dancing. She will be missed by her family, who loved her very much. Memorials may be made to Meadows Mennonite Retirement Home in Chenoa. Click here to send a note of condolence to the Conring family. James E. LaMothe, 69, of Lincoln died at 1:47 a.m. Sunday, May 6, 2001, at his residence. Click here to send a note of condolence to the LaMothe family. Roger Winston Thompson, 68, of Lincoln died at Memorial Medical Center in Springfield on Saturday, May 5, 2001, one day short of his 69th birthday. Cremation rites were accorded, and a memorial service will be at 10 a.m. Wednesday, May 9, 2001, at Holland and Barry Funeral Home in Lincoln, with the Rev. Mark Carnahan officiating. Immediately following the memorial service at the funeral home, there will be a private interment service at the Elkhart Cemetery, Elkhart, for the family members. Visitation will be from 5 to 8 p.m. Tuesday at the funeral home. Thompson was born in Evanston on May 6, 1932, the son of Donald and Helen Thompson. After graduation from Maine Township High School in Park Ridge, Roger followed in his father’s footsteps by attending the University of Wyoming. He returned to Illinois for his senior year, earning an undergraduate degree in philosophy from Northwestern University in 1954. He then entered active duty in the U.S. Navy and in 1955 earned his naval aviator’s wings. He went on to serve aboard the aircraft carrier USS Princeton as a member of Anti-Submarine Squadron 39. He completed his tour of duty as a flight instructor at NAS Pensacola, Fla. Thereafter, he entered law school at the University of Illinois, Urbana. In 1961 he earned his law degree and license to practice. He and his family moved to Lincoln, and he began his professional career that same year. Among the many achievements he attained in his distinguished 40-year legal career are Lincoln city attorney, 1963-66; Logan County public defender, 1966-72; state’s attorney of Logan County, 1972-80; city attorney of Atlanta, 1984-87; and public defender of Logan County, 1987-89. He was also appointed attorney for the Lincoln Public Library District. He organized and directed the first Logan County Legal Aid Society in 1970, lectured for the Illinois Institute for Continuing Legal Education, and organized and lectured numerous Lincoln College training courses for police officers. At the college he also guest lectured a course in criminology. He was a member of the Illinois State Bar Association and the Logan County Bar Association, serving as president of the local group in 1979. He also held membership positions in the Illinois Public Defenders Association, National Legal Aid and Defender Association, Criminal Law Section Council of the Illinois State Bar, and National District Attorney’s Association, and held executive and board positions with the Illinois State’s Attorney’s Association. Roger is survived by his loving wife, Dora; son Scott, of San Francisco; daughter Bonnie Warren of Sand Point, Idaho; brother Alan of Eden Prairie, Minn.; aunt Elsie Olson of Bountiful, Utah; and two nieces. On behalf of his family, friends and associates, he will be missed. In lieu of flowers, the family requests that memorials be made to the American Diabetes Association, the American Heart Association, Parkinson’s Disease Foundation or the American Stroke Council. Dorothy M. Osborn, 79, of Lincoln died at 4:58 a.m. Sunday, May 6, 2001, at Memorial Medical Center in Springfield. Funeral services will be at 10:30 a.m. Thursday, May 10, 2001, at Zion Lutheran Church in Lincoln, with the Rev. Mark Carnahan officiating. Burial will be in Hartsburg Union Cemetery, Hartsburg. Visitation will be from 4 to 7 p.m. Wednesday, May 9, 2001, at Fricke-Calvert-Schrader Funeral Home in Lincoln. Mrs. Osborn was a homemaker and farmer’s wife. She was born Sept. 27, 1921, in Burton View to Peter and Minnie (Meyer) Hamer. She married William Osborn on March 4, 1940, in Palmyra, Mo. Surviving Mrs. Osborn are one son, Dale (Patricia) Osborn of Lincoln, one daughter, Sandra (Robert) Young of Springfield; six grandchildren; six great-grandchildren; and one sister, Margaret Minder of Lincoln. She was preceded in death by her husband, one grandchild and one great-grandchild. She was a member of Zion Lutheran Church in Lincoln. Click here to send a note of condolence to the Osborn family. Virginia F. Ording, 83, died at 5:45 p.m. Saturday, May 5, 2001, at the Christian Village Nursing Home in Lincoln. A graveside service will be at 11 a.m. Thursday, May 10, 2001, in Zion Cemetery, Lincoln, with Tom Gerdts officiating. Mrs. Ording was a homemaker for her family. She was born into the Schlingerman family on Aug. 16, 1917, in Wisconsin. She married Merle Ording in Green Bay, Wis. He died March 27, 1976. Surviving are five grandchildren, including Andrea Bartlett of Normal and Paul Ording II of Jacksonville, Ark. Two sons, Paul and Harold Ording, and one brother, Glenn Schlingerman, also preceded her in death. Richard D. Howard, 63, of Lincoln died at 11:51 a.m. Saturday, May 5, 2001, at his residence. A memorial service will be at 5 p.m. Tuesday, May 8, 2001, at Fricke-Calvert-Schrader Funeral Home in Lincoln, with Father Thomas Taylor officiating. Visitation will be one hour before the service. He owned a barber shop for 12 years, was a barber at Lincoln Developmental Center, and retired from Logan Correctional Center in August 1999 after 17 years. He served in the Army National Guard from 1955 to 1964. He was born Sept. 24, 1937, in Athens to Ivan and Josephine (Bednarko) Howard. He is survived by two sons, Craig (Katie) Howard of Plainfield and Darren Howard of Peoria; and two grandsons, Jack Howard of Plainfield and Ross Howard of Buffalo. He was a member of American Legion Post 263 and Lincoln Sportsman Club. Click here to send a note of condolence to the Howard family. Warren W. Gallagher, 83, of Lincoln died Saturday, April 28, 2001, in Tucson, Ariz.
Funeral services will be at 11 a.m. Thursday, May 10, at Holland and Barry Funeral Home. Entombment will be at 11 a.m. Friday, May 11, at the Hott Mausoleum in Monticello Cemetery, Monticello. Visitation will be from 5 to 7 p.m. Wednesday, May 9, at Holland and Barry Funeral Home in Lincoln. Gallagher was a veteran of World War II. He was a B-24 navigator with the 392nd Bomb Group and served four years with the 8th Air Force. He was born March 26, 1918, in Lincoln to David C. and Rose (White) Gallagher. He married Jeanne (Hott). Surviving Gallagher are his wife; two daughters, Lesliann Gallagher McKay of Evergreen, Colo., and Sharon Gallagher Smith of Sherman; one grandson, Fredric H. Smith of Davidson, N.C.; and two stepsons, Charles Michael Bennis of Greenwich, Conn., and John Maxwell Bennis of Virginia Beach, Va. He was preceded in death by seven sisters and one brother. He was a member of Lincoln IOOF, Lincoln Elks, Pima Air Museum, Mountain Oyster Club, Tucson Country Club and the board of Lincoln College.